Google play app not showing up in app drawer but it is installed. How do i fix it? okay, so my google play services app has dissapeared from my app drawer (i have a samsung j3) and i know it is installed as when i go onto my app in settings it says its installed. And i have tried reinstalling it from google and it hasnt done anything. Im very confused. Without google play services i cant use quite a few other apps. Do you mean the icon for the Play Store app? Yes, sorry im not used to how this thread chat thing works. ^ Don't worry, and welcome as a new member. What's causing me some confusion is that you seem to be referring to two different things, so let's get that straight. 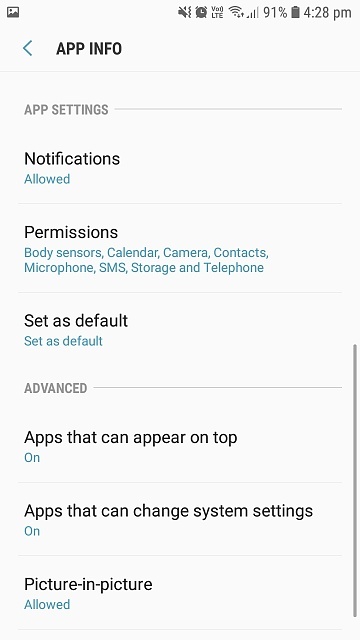 In Settings, Apps, are you saying that Google Play Store, or Google Play Services, show as installed? They are different apps. Play Services is not represented by an icon on Home screens or in the app drawer, whereas of course the Play Store is. 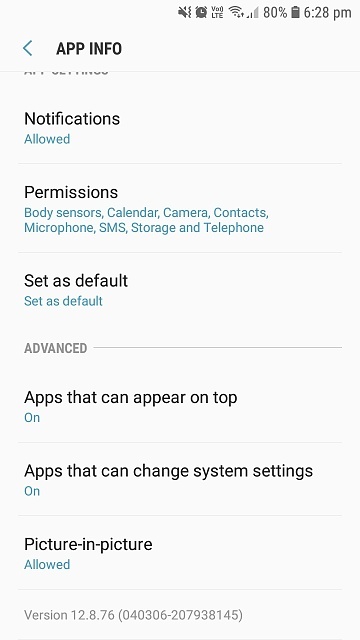 Try Settings, Apps, tap All Apps, then tap Disabled - or however it would done on your device. See what's in there. Welcome to the forums. As belodion has explained they are two different apps. Google Play Store. You can open it from the app drawer or from a home screen shortcut. It seems it's working fine in your phone. Google Play Services. This is a core app and you can't open it directly, the system will open it in the background when needed. This means it doesn't show up on your app drawer and you can't create a shortcut on your home screens, this is normal. It seems this app is already installed in your phone. Could you explain what kind of problems you are experiencing? Google play services isnt disabled. Its the google play store i guess then because i used to have the icon. Sorry for the confusion from me. Ive cant find the google play store anywhere on my app drawer and i have had multply people look for it so i havent just missed it. And my youtube app isnt working as it says "Youtube wont run without google play service which is not supported by your device" and thats to do with google play services. So im confused as there might be a problem with google play service and my google play store. Also youtube stopped working when the google play service app dissapeared. Try this, go to settings - apps - scroll down until you find Google Play Services and select it - scroll all way down and tap 'app details'. 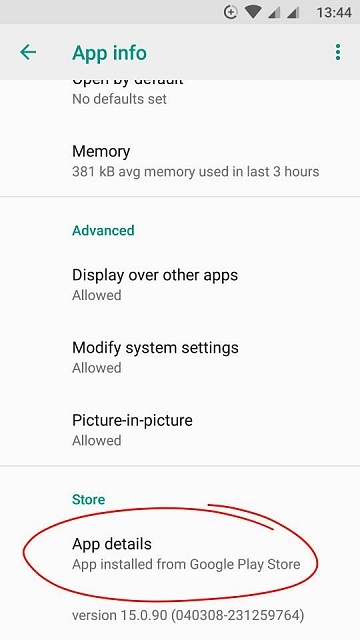 This should open the Play Store record for the Play Services, what options do you get? Take a screenshot of that screen and post it here. I couldn't find app details but would this do? Everything seems fine there. Scroll down a bit more and tap the 'app details' option. See if there's an update available. The app details isnt there. That's very strange. The version seems very outdated (I'm on 15.0) and there's no reference to the Play Store. Did you sideload the Google Play Services app or are you using a custom ROM? Did your phone come with the Google apps already preinstalled? Im pretty sure my phone came with google apps preinstalled. What do you mean by sideload? Downloading the app outside the Play Store. What generation is your J3? The first one was in 2015 -- is it from way back then, or more recent? What version of Android is the phone running? 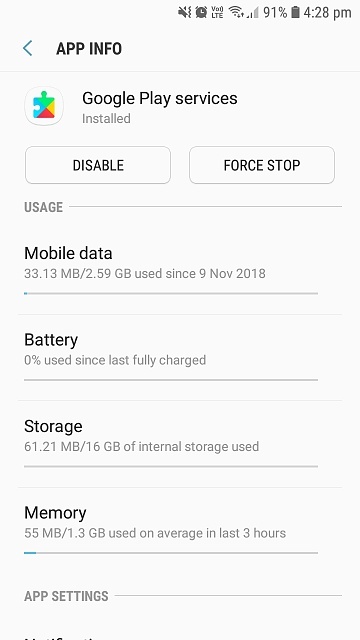 My phone is running version 8. Not sure what generation it is but i got the phone in 2017. Go to the Google Play Services app page in the Play Store (either on your phone or your computer browser) and see if you have the option to update. If you go to that page on your computer browser, click the Installed button, then click the device list dropdown, and see if your phone is selectable. I did that and for some odd reason there were 3 different versions of my phone saying last used :yesterday then a few months ago and a year ago. Ive clicked in them all. Its says its going to install on my device soon but i have tried this a while ago and it didnt make a difference . Do those time periods correspond to when you may have done factory resets? I wiped the cache partition. The time periods dont correspond with any factory restes because im 80% ive never done a factory reset on my current phone. Ive tried to install google play services once again but so far nothing has happened. The app is still not in the app screen and pretty much everything is the same. You may just have to do a factory reset, then.